Fun poems on favourite topics which can be filled in, changed and tweaked by all your young learners! 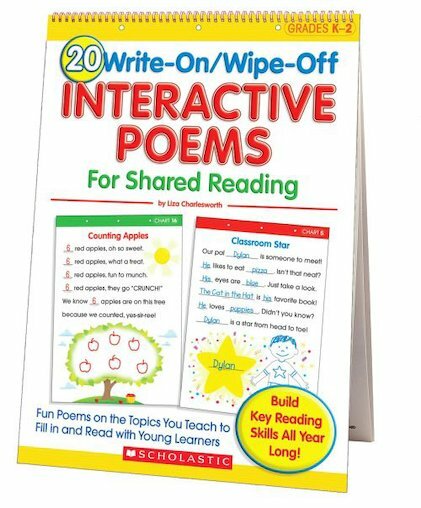 Grab a dry-erase pen and get writing for heaps of interactive rhyming play. Build essential skills with these exciting read-aloud poems on popular topics, including birthdays, the alphabet, names, animals, time and much more! The unique fill-in format lets children add in their own names, objects and rhyming words, allowing hours of interactive learning, and building up reading and writing skills. An invaluable classroom resource your students will LOVE!